Since the inception of MDA UK's Lifesavers Programme, our committed donors and supporters have successfully funded two lifesaving ambulances for the people of Israel. MDA UK are now in full swing in funding the state-of-the-art National Blood & Logistics Centre in Ramla, Israel. This new capital project is being developed as a result of a three-way partnership between the American Friends of MDA, MDA UK and the Government of Israel. 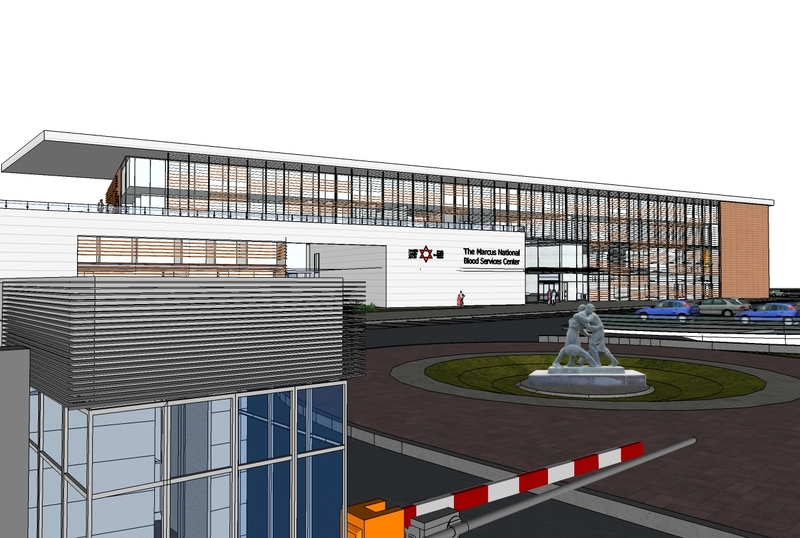 This multi-million pound project will be the central hub for all of Israel's Blood storage/testing as well as housing the National Ambulance Centre and National Archives to name a few. Our Lifesavers will now be playing a part in this exciting project with an aim to fund a "Quarantine for Blood Bags" facility within the Centre. This will cost £75,000 and over the next year our Lifesavers monthly donations and events will be contributing towards this unique project.